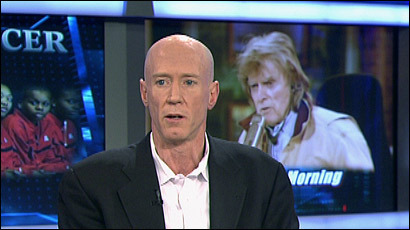 After several days of criticism for inviting a former Don Imus producer to its airwaves, WRKO cancelled an appearance by Bernard McGuirk today. George Regan, a spokesman for Entercom Communications, the parent company of WRKO, declined to say why the invitation was rescinded. But over the weekend, a 1997 interview on CBS' ``60 Minutes'' surfaced in which Imus was quoted using a racial slur to say that McGuirk was hired for his show to tell jokes about blacks. "After careful deliberation, [WRKO] decided that it would not be appropriate for Bernie to be a co-host at WRKO at this time," Regan said. Dan Kennedy, who teaches journalism at Northeastern University and blogs on the media scene, applauded the station for reversing course. "To actually bring McGuirk into Boston, and to pair him with a guy who -- although he's not doing that well on the ratings -- certainly has some class and some dignity -- was an awful decision, and I'm glad they're not going to do it," he said.